When Letitia Wright literally bounced onto the stage it was to roaring applause from the audience at London Comicon in May. Despite being one of the earliest events in the day, there had been several queues to get in. The whole crowd was excited to see her and she appeared as excited to be there. Wright said that when she had come before to be mic checked and saw all the empty seats it had been sad but seeing it now full was hard to believe. 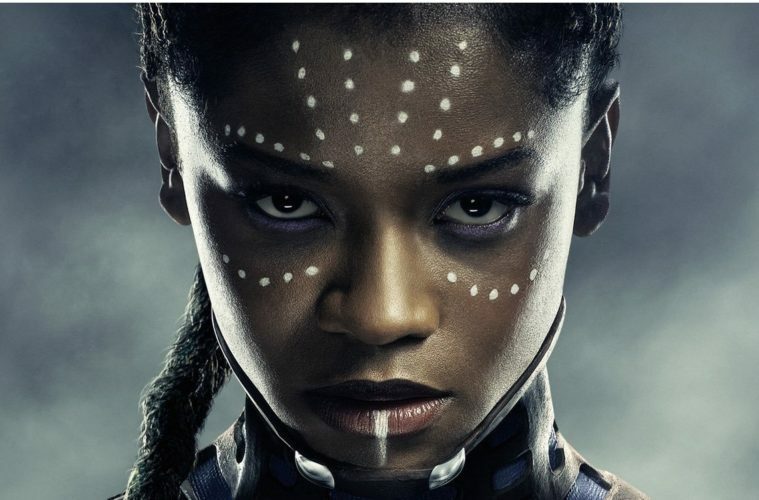 Wright rocketed to fame when she starred as the title character’s younger sister in Black Panther, one of the blockbusters of the year, which has made over a billion dollars at the box office. Wright plays Shuri, the modern day princess of Wakanda and science genius behind all of Black Panther’s gadgets and armour. Despite the fact that Wright is now a worldwide sensation, she came across as incredibly down to earth and happy to have brought joy to so many people. She joked that people now watch her pack her bags in Sainsbury’s and someone had once approached her to ask her if she was the girl from Star Wars. “I still see myself as Tish” she explained, and still likes taking trains even though her agent hates that and keeps trying to put her in Ubers, “and Ubers are expensive!” she joked, making herself very relatable to all us public transport devotees. 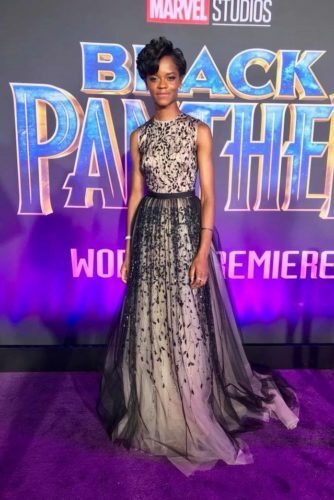 However Wright also recognised the power of Shuri and the Black Panther franchise; when the interviewer asked if she was the new Disney Princess she said with a smile: “I accept it in my life”. Wright is also clearly close with her co-star Chadwick Boseman, who plays Black Panther, saying that she fell in love with him whilst screen-testing. “He’s my big brother!” she declared. Though the way she sees it the feeling wasn’t always mutual: “When I met him he was looking at me like ‘who’s this girl from London?’ and I looked at him like ‘I’m going to be your sister and I’m going to love you.’” And she seems to have made good on that promise! Wright is also clearly very fond of her character, describing her as “cheeky little Shuri”. Apparently while filming she tried to play Shuri as seriously as everyone else was playing their characters, but was told by Coogler to play her as “a fun teenager”, so she looked up fun science YouTubers for inspiration. It’s certainly a new interpretation of the character, as in the comics Shuri wants the Wakandan throne. But when asked if anything happened to Black Panther if she was prepared to take over the mantle, Wright answered with a very affirmative “Yes!”. It seems the enormity of being a flagship character in Black Panther took a while to hit her, when she got a call to be in Avengers: Infinity War at the start of filming she was so nervous she was giving herself pep talks in her hotel room, thinking she’d have to audition again. Instead she was told she was already part of the Marvel family. But it’s not just within Marvel that she’s inspiring; Wright’s portrayal of Shuri has also garnered loads of articles about how she is inspiring a whole generation of women in Science, Technology, Engineering and Medicine, especially black women who are historically under-represented. From Vox to Mashable, and the Science Museum to Scientific American, the world seems convinced Wright and Shuri could change the world, and watching her on stage I had to agree. When they spoke about him cosplaying as Spiderman at a convention she declared: “He’s so cool!”. 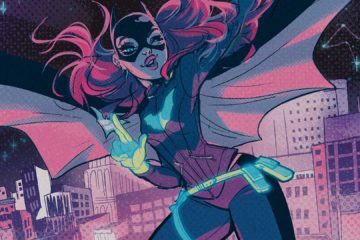 Wright said she previously didn’t understand the appeal of cosplay, but now being part of Marvel she thinks it’s “so cool” and we shouldn’t be surprised to see her in cosplay next year. However Wright is already a fashion icon, and people regularly tweet at her asking her what sneakers she’s wearing on any given day. Asked if this was overwhelming she replied that she was “grateful for everyone who’s helped me get my sneaker game so tight!”. She’s also gained admirers for her rapping, when someone leaked a recording of her having a rap battle while waiting on set at the waterfall scene in tribal dress, which gained her the nickname MC Underbite, and P Diddy has complemented her rapping skills. All hail Shuri, hopefully the next monarch of Wakanda. And may we all see more of Letitia Wright in both the MCU and beyond. Black Panther is out now on DVD and streaming services. Images taken from the film’s official Facebook Page. 1: Wright at the Black Panther world premiere wearing a floor-length beige dress with black leaf details. 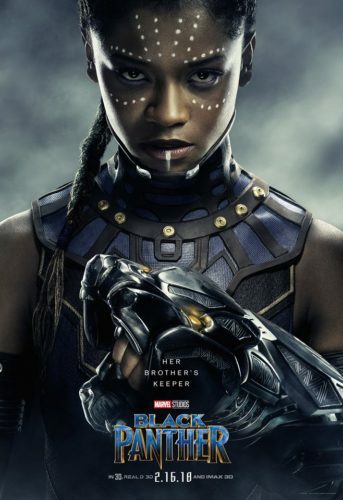 2: A film poster for Black Panther with Wright dressed as Shuri in Wakandan armour and the words ‘Her brother’s keeper’ at the bottom.